One day whilst sat in the office updating the disaster recovery documentation I needed to document the Virtual Infrastructure, we all know that managers like pretty pictures so the first thing they asked for was a pretty diagram of how the infrastructure looked. After dropping my 40th VM object on the page I started to get a bit bored, i looked at other options. There is already a great tool on the market that performs this job, Veeam Reporter produces multiple documents and does a great job, but being a contractor I have a nil budget. Knowing that you can do some very cool things with Powershell I wondered how easy it would be to hook into the Visio com object to get powershell to create the document for me. As it turns out it wasn’t that hard, there were a few sticky moments where I had to refer to the Visio forums, and a great starting point by the only powershell reference using Visio I could find (Check out CommandBreak_ Thanks Joeseph) after explaining what powershell was to the guys in the Visio Forum and explaining why I was using powershell as I think this is the first time these people had heard of it, I started to relate some of there c# examples back into powershell. The result is by no means a totally polished all singing all dancing documenter that documents your VI from the left, from the right and upside down but what it is, is an example of what you can do with the Visio COM objects and powershell combined. I have not yet included all the options I would like, in future versions I would like to be able to document the networking setup / storage paths etc but I’m working on something else so wanted to get this script out into the public. Once extracted copy the ‘My-VI-Shapes.vss‘ file to your ‘My Documents\My Shapes’ folder. If the folder does not exist create it and copy the file in. can some one help me on this script. I am getting few errors while running this script. Hi Alan, the link to the download doesn’t seem to work. Sorry about that, link updated! Also cannot access the download link? Great script, it’s working for me on Visio 2013. Excellent work ! Exception setting “Text”: Cannot convert the “SRVFORMS01” value of type “VirtualMachineImpl” to type “string”. Please advise on any solution you may have. On line 42 change $item to $item.name. Worked for me on Visio 2016. Erf… fail… Figured it out. It was was after the stencils under my admin profile (runas). + $connectBegin = $shpConn.CellsU("BeginX").GlueTo($firstObj.CellsU <<<< ("
Exception setting “Text”: Cannot convert the “SERVER NAME” value of type “VirtualMachineImpl” to type “string”. WOW! Not only is this script worthy of an innovation award, it looks extremely familiar to me. Great share! I’m sure others can use it for extreme gainz within their company. I’m currently working on adding an additional functionality to the script. Specifically, eliminating the ESX host within the ESX cluster visio plotting due to the diagram being inconsistent if vmotion via DRS is enabled for the cluster. I have already modified the script to connect the VM guest directly to ESX cluster. I’m also adding additional information to be added for each VM guest (OS version, IP address (Nic1), MemoryGB, NumCPU) as well as updating the stencil objects being used. Innovation! Award winning innovation! Nice. Did you find a way to add the VM guest (OS version, IP address (Nic1), MemoryGB, NumCPU) when it is doing the visio diagram? How hard is it to add IP addresses to the diagram? I’m new at scripting. how to draw Visio for Datastore? Brilliant Script! Thanks a million for saving many hours.Works fine with Visio 2010. 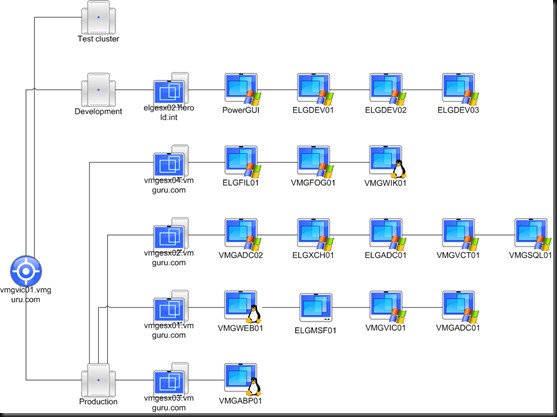 I was able to get this working with Visio 2013, on Windows 8.1 on a Vsphere 5.5 VC today! Once I installed VMware-PowerCLI-5.5.0-1295336, I had to ‘Set-ExecutionPolicy Unrestricted’ for Powershell to allow it to run. Hi alan, Thanks for sharing, I followed the instructions by copying ‘My-VI-Shapes.vss‘ file to ‘My Documents\My Shapes’ folder. I ran the script, it ran successfully and it showed it saved the file with the name of my_vdiagram.vsd but i do not see any file in that path, I searched entire C drive with file name or *.vsd. There is none. I am wondering did it actually create something? This script saves me at least 1 to 2 days each time I run it. Capturing the Virtual Infrastructure by hand is a non-starter! Thanks for a great piece of work! This is a great script – however i’m having an issue where it wants to draw each cluster twice before it ends. Also i’ve modified it to produce a view of datastores. Again i’m up against the issue where it wants to diagram everything twice. sorry i know that thevesi is dead. What I mean is where is the updated vDiagram script now. I am looking for the updated script on thevesi. I have PowerGUI and the power pack installed and would like to use the updates vDiagram script as mu vurrent visio is a litte crazy due to hundreds of VMs. agreed, not working w Visio 2010. Will this script also work to display the same volumes information for vfilers? If so how do I modify this script to display this information. Hi the download is not working for me could you please email it to me? Sorry Imy, someone hacked my site last week and im only just restoring things fully now, hopefully it should be there now. 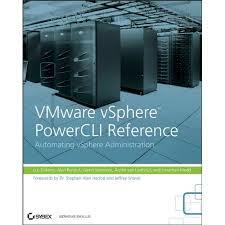 Would it be possible to populate each object with VM machine detail? like IP MAC, CPU count , RAM etc? I’m saving the detail to an htm doc and publishing this for non VC users to see. Maybe you could change the blog subject title vDiagram – Draw your VI with one script | Virtu-Al to something more better for your blog post you create. I loved the post however. Mine asks for the ESX/Vcenter host, when I type it, Visio 2010 opens, but the diagram is blank? is there a possibility to save the output also as html? I have changed the download link as was having problems with some people unable to access it. should be ok now. Al, dont see the zip file, how can i get it? I am not able to download the zip file. Can some one plesae pass me? How would this work in a large environment, say 110 ESX hosts and 1500 VMs? Would the resulting file be usable or printable? Maybe on a plotter? Hello thanks for that however the power gui version seems to only work with visio 2007 and our desktop soe is office 2003. Hello is there anyway you can get this script to populate visio with the vmsdetails such as memory cpu and os? Yeah this is easy enough and I was planning on a V2 of this script but….. If you check out what has been done in the PowerGUI Powerpack with this script and also look out on http://www.thevesi.org they will be adding this to there version (which is better than this one) in the near future. Cameron, Thanks, neat trick, BTW I think you may need to invest in some knee pads by the looks of your blog ! Get-VMHost : The argument cannot be null or empty. Nice work, especially given the always tough to find documentation for Visio. Can’t wait for version 2, maybe add a title to page? Im so sorry, I knew I missed someone out of the credits, I have ammended the post to include a link to the great CommandBreak_ site. Thanks for all of Ben’s help. Sounds good, send the amendments over and I will put them in V2. If 46 VMs on one host makes your diagram a little on the wide side, it is possible to wrap them onto additional rows. The changes will take too long to describe here but it is possible. One quick question, what version of Visio are you using ? The result is VM names truncated to 15 characters plus “…” to indicate that they are not the full name. This fixes all VMs showing up under all hosts. Also fixed some of the Visio shapes with font size, etc. Was easy since I made the originals! Awesome awesome stuff. Thanks Chris, couldn’t have done it without your brilliant forum and help ! Glad to see you’ve got it working! Sweet ! This really saves some work. Thanks !